Posing in their garden at home with their dog Lupo, the Duke and Duchess of Cambridge and their children, George and Charlotte, make a picture-perfect family in the candid GQ magazine shoot. 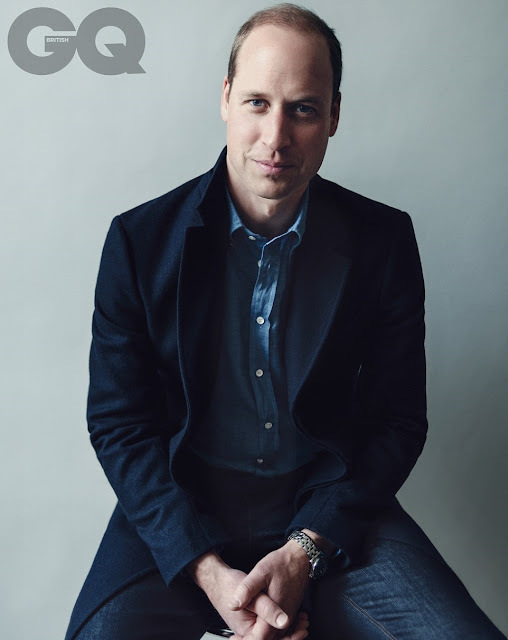 Prince William, who is the magazine's cover star, opens up about family life, how he wished his late mother could have met Kate and the children and how it's taken him 20 years to come to terms with her death. The royal father-of-two says his grief is different to other people's because 'everyone knows the story'. 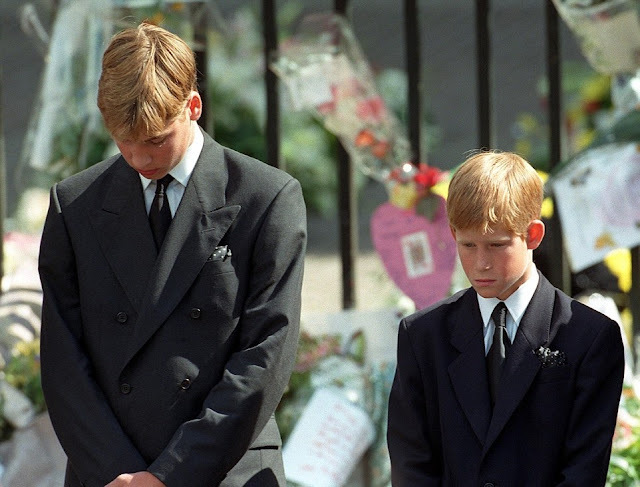 He adds that he wishes Princess Diana, who was killed in a tragic car accident in 1997 when Prince William was 15, was around to watch his children grow up and says he will 'fight' for them to have a normal life. William was interviewed by Tony Blair's former communications chief and author, Alastair Campbell, who had a breakdown in the mid 80s and suffers with depression. The candid chat comes after Prince Harry did a similar interview admitting he fell into 'total chaos' following his mother's death. The royal, who was discussing his mother's tragic death in 1997 and the issue of mental health as part of the Heads Together campaign, revealed that he's in one of the best places he's been - but it's taken him 20 years to get there. 'It has taken me almost 20 years to get to that stage,' he admitted. 'I still find it difficult now because at the time it was so raw. And also it is not like most people’s grief, because everyone else knows about it, everyone knows the story, everyone knows her.